Would you like an experienced air duct cleaning and inspection company serving Jackson, MI capable of cleaning HVAC systems, air ducts, and air conditioning ductwork to clean your building's air duct system? 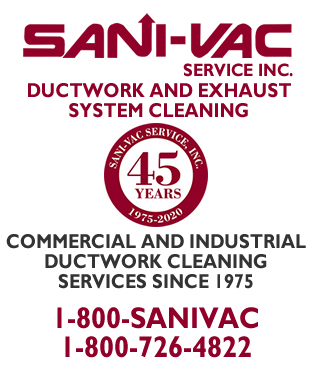 For over 40 years, SANI-VAC Service has offered a complete line of air duct cleaning services in Jackson, Michigan. Our knowledgeable air duct cleaning technicians have been trained to use the latest equipment and technology in the industry. We use digital remote inspection equipment to view your HVAC system and can then decide the best approach to cleaning your ductwork. We are licensed and certified to clean air ducts. Are you concerned that your air duct system is enabling the spread of allergens, mold, or bacteria? 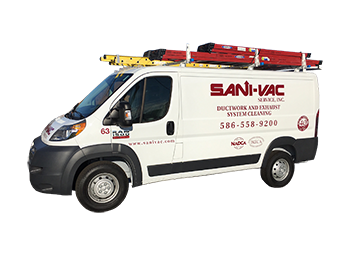 SANI-VAC Service provides HVAC and air duct cleaning services to thoroughly clean your air duct system. We use a broad assortment of equipment and procedures to remove bacteria and mold from your air ducts. EPA registered fogging agents can be employed to kill mold and bacteria. We are a full service air duct cleaning company and can greatly improve your indoor air quality with regular air duct cleaning. Since 1975 SANI-VAC Service has offered professional air duct cleaning services in Jackson, Michigan. 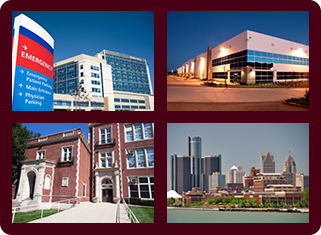 Over the years our duct cleaning services have provided healthy air in hospitals, schools, universities, condos, apartments, restaurants, retail stores, government buildings, manufacturing and industrial sites, factories, and high rise buildings. 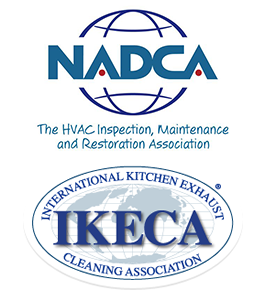 With an annual inspection and cleaning strategy, we can decrease the incidence of bacteria, mold growth, and odors in your ventilation system. Clean and odor free air is important in any building. Call (800) 726-4822 today to schedule an air duct cleaning appointment in Jackson, Michigan. We have over 40 years of air duct cleaning experience and provide excellent customer service.